The xiaomi_aqara component allows you to integrate Xiaomi Aqara-compatible devices into Home Assistant. Please note, there are two versions of the hub: v1 and v2. v1 can be used with Home Assistant without any problems, however, v2 might be less straight forward when it comes to enabling the local API, and might even require you to open up your device in order to do so. Xiaomi has suggested this is in the pipeline. Xiaomi Aqara Gateway (lumi.gateway.aqhm01), as it is not possible to activate dev mode in the Mi Home App. Follow the setup process using your phone and Mi-Home app. From here you will be able to retrieve the key (password) from within the app following this tutorial. # You can leave MAC empty if you only have one gateway. # 12 characters MAC can be obtained from the gateway. (string)(Optional)The MAC address of your gateway. Needs to be formatted without “:”. Optional if only using one gateway. (string)(Optional)The key of your gateway. Optional if only using sensors and/or binary sensors. (string)(Optional)The host/IP address of the gateway. If this parameter is used the multicast discovery of the gateway is skipped. (boolean)(Optional)Disable the gateway. This is only useful if you don’t want to integrate a specific gateway. (integer)(Optional)Number of times that Home Assistant should try to reconnect to the gateway. (string)(Optional)Which network interface to use. Play a specific ringtone. The version of the gateway firmware must be 1.4.1_145 at least. Take a look at the examples below. Stops a playing ringtone immediately. Enables the join permission of the Xiaomi Aqara Gateway for 30 seconds. A new device can be added afterwards by pressing the pairing button once. Removes a specific device. The removal is required if a device shall be paired with another gateway. This example plays the sound of a dog barking when the button is held down and stops the sound when the button is pressed once. Only works for the round button of the 1st generation. Note: The sound will stop playing automatically when it has ended. This example toggles the living room lamp on a double click of the button. If you run into trouble initializing the gateway with your app, try another smartphone. E.g., it didn’t work on an OnePlus 3, but it worked with a Nexus 5. 2017-08-20 16:51:20 ERROR (MainThread) [homeassistant.setup] Setup failed for xiaomi: Component failed to initialize. 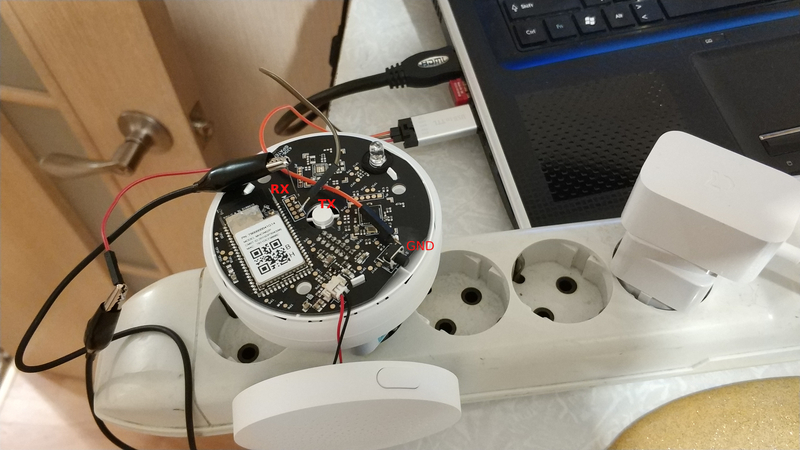 That means that Home Assistant is not getting any response from your Xiaomi gateway. Might be a local network problem or your firewall. Make sure you have enabled LAN access. Turn off the firewall on the system where Home Assistant is running. Ensure your router supports multicast as this is a requirement of the Xiaomi Gateway. Try to leave the MAC address mac: blank. Try to set discovery_retry: 10. Try to disable and then enable LAN access. Hard reset the gateway: Press the button of the gateway 30 seconds and start again from scratch. If you are using Home Assistant in Docker, make sure to use --net=host. You should generate the key again using an Android Phone or alternatively an emulator such as bluestacks. In some instances, there is an issue with keys being generated using the iOS application. You need to make sure to have multicast support on your network. If you are running Home Assistant in a virtual machine (like Proxmox), try echo 0 >/sys/class/net/vmbr0/bridge/multicast_snooping on the host and restart the service or reboot the host. If the required library “PyXiaomiGateway” cannot be installed you will need to install some missing system dependencies python3-dev, libssl-dev, libffi-dev manually (e.g., $ sudo apt-get install python3-dev libssl-dev libffi-dev). Find a specific screw bit (like a fork) to open the gateway case. Find a USB-UART cable/module and connect it to your computer. Solder 3 wires - RX, TX and GND like here. Turn on the gateway (220V). Open a serial terminal application (e.g. PuTTY) and connect to the serial port assigned to the USB-UART module (baudrate: 115200). Wait until the gateway is booted up, connect the RX, TX and GND wires to the UART module (don’t connect the Vcc (power) wire!). You will see all the messages from the gateway. Send the command psm-set network.open_pf 3 (the command has to end with a CR newline character). Check your settings executing the command psm-get network.open_pf to be sure it’s OK.